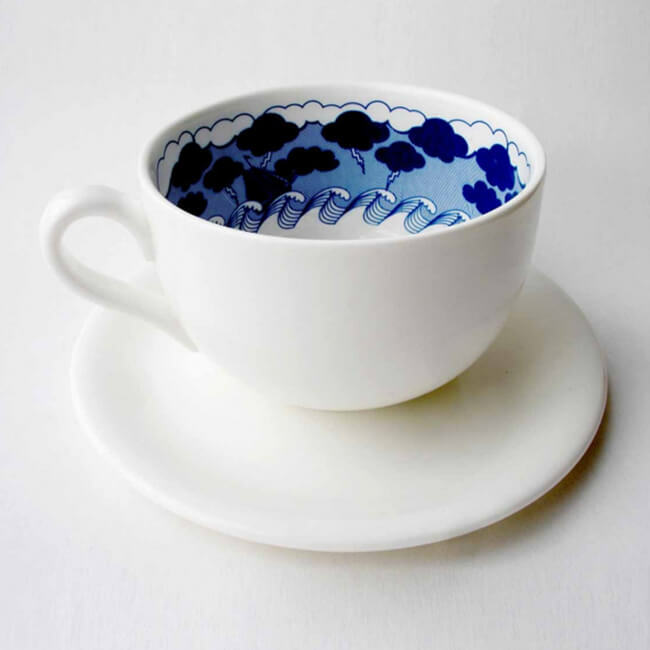 A large, elegant and high-quality white china teacup and saucer, with a dark blue image of a ship in a storm printed inside the cup. Illustrated in a modern delft style, the image creates a visual play on a well-known analogy. Storm in a teacup is beautifully illustrated by Jenny Wilkinson for Duffy London.